When the economic fortune of the organization of petroleum exporting countries (OPEC) nations suffered a tragic experience due to the sudden fall of the oil price in the eighties and nineties, the economy system of its members became a source of concerned as the survival of their organs was greatly threaten. Due to the sudden fall of the oil prices, several developing nations, therefore, evolved strategies that will pull them out of the economic being one of the country affected was not excluded and one of the strategy to be employed was to privatize and commercialize government public enterprises which many believed will lead the country out of her economic wound. Nigeria National Petroleum Corporation (NNPC) is one of the public enterprises owned by the federal government of Nigeria to provide petroleum product to the populace. The wind of the economic recession that spreads across the country didn’t spare NNPC. NNPC got it share couple with mismanagement of resources by those responsible to manage the day-to-day affairs of the organization. These led to their in ability to meet the aims and objectives of setting them up. The only way out seems to privatize and commercialized the sector to have enough funds to meet its service to the populace through selling of shares and foreign investment. This programme will not only make funds available but also provide better management and managerial skill for effectiveness and efficiency. The study will examine its positive and negative on the enterprises. The Nigeria economy, employees and Nigerian government. v Public enterprises are expected to operate profitably on commercial basis and to be able to raises fund from the capital market without government guarantee. v Public enterprises which may be considered by the government for capital grant to finance their capital intensive project. v Been inefficient in their operations. v They are avenue for corruptions. v They are not making return in respect to investment made on them. Other views are that government involvement in enterprises is the failure in economic development and that business is not a venture for government. v In appropriate capitalization from inception. v Improper definition of roles and objective for setting them up. v Total government ownership which did not encourage profit orientation operations. v Influence of political environment. v Poor attitude to work on the part of workers of the corporation who believed that government would always provided subvention for the payment of their salaries and wages. v Unnecessary interference in the management of the corporation by the supervising agencies of the government. v The partial failure of the antagonization Degree. v The heavy linkage of natural expenditure and product to imports resulting in heavy foreign debt burden from the early 1980’s and the poor performance of public enterprises and corporations, all combined to create rapid and serious down ward trend in the Nigerian economy. Hence, in 1988, decree 25 was promulgated to recognize such enterprises. Thus, government corporations were commercialized. Now a second phase of the programme was inaugurated by the present administration taking a new step. 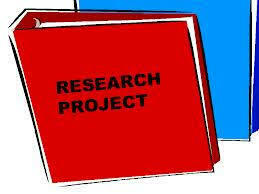 The focus of the paper the examination of the success or other wise of the programme on public enterprises in Nigeria. The relevance of this study can be examined from three perspectives, as follows. Finally, it is hoped that this research would serve as variable guide to our policy makers and future policy enquiries into this fold. The study is relevant to the research as it will provider the opportunity to know more about privatization and commercialization. It is also relevant to public enterprises or government corporations privatized or commercialized or yet to be privatize or commercialized specifically the case sturdy of this research work. As it will highlight to their operation. The recommendation made in this study will be useful to them in particular and to share holders. Finally the project will be of immense importance to the general public either for research work or just to increase their knowledge and create more awareness on the concept of privatization and commercialization programme as well as the problems an solution to the problems of Nigeria public Nigeria. a) Find out the prospects and problems of the implementation of the privatization and commercialization programme on public enterprises. b) Find out to what extend the programme can be able to get rid of ineffectiveness and inefficiency of public enterprises. c) Find out its possibilities of fostering development on the Nigeria economy. d) Find out if will improve the welfare and standard of public workers. Finally this project also intended to recommend ways of solving the problems of public enterprises in Nigeria. H0 – That privatization of public enterprises will have negative effect on Nigeria economy. Hi – That privatization of public enterprises will have positive effect on Nigeria economy. Ho -That commercialization of public enterprises will have negative effect on Nigeria economy. H1 -That commercialization of public enterprises will have positive effect on Nigeria economy. H0 – That the privatization of public enterprises will not improve the operation and services, welfare and standard of worker in the public enterprises. These research works intend to assess the effort of privatization and commercialization exercise on public enterprises in Nigeria. The research will be limited to only Kaduna refining and petrochemical company (KRPC) Being the case study of this research work. To undertake a study of this nature is not easy because it is a wide field of study and thus has various limitation/problem. The first limitation is for the success of any research work depends on availability of fund. The fund is needed for buying of materials, browsing etc. In the case of primary data. The respondent may not be granted the audience for interview another limitation is high cost place or more current information on the net. A long the line, the administrative bottleneck of the organization may jeopardize the effort of the researcher in union case the management would refuse to disclose vital information as a matter of policy. Most of the time the administration of questionnaires does not achieve its objectives, as filling is uncompleted and returning them are often delay beyond time reduced. Finally, Time of compilation and submission of work is always too short. And many things are expected of the researcher to accomplish at a time, theses are not fair to the quality of the research. This study is to confined to Kaduna Refining and Petrochemical Company (KRPC) were it will assess the effort of privatization and commercialization in Nigeria economy context. The research will cover the period from 1983 to date. a. PRIVATIZATION: Sell of public enterprises or corporations owned by the government to private individual to manage though the use of shares. b. PARTIAL PRIVATIZATION: Sales of the part of the public enterprises to private individual. c. FULL PRIVATIZATION: Complete sales of public corporations to private individuals. e. PARTIAL COMMERCIALIZATION: When enterprises are operated to make maximum profit possible. g. DEREGULATION: To free trade, Business activity etc from rules and control. h. B.P.E: Bureau for Public enterprises: this is an administrative set up for close evaluation of public enterprises in Nigeria. i. SHARES: Part as portion of target amount which is divided among general or among people or to which many people contribute. THIS MATERIAL GOES FOR #3,000 ONLY.